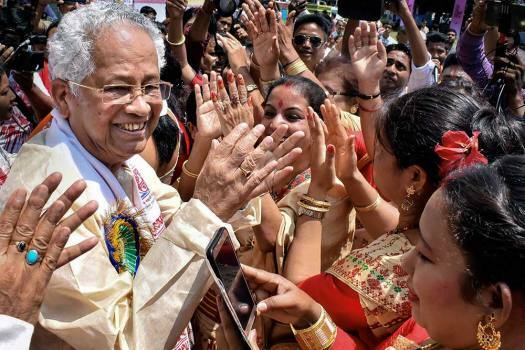 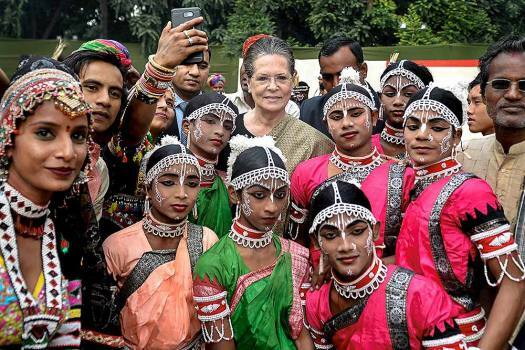 Former chief minister of Assam Tarun Gogoi with bihu dancers during the Rongali Bihu celebrations, in Guwahati. 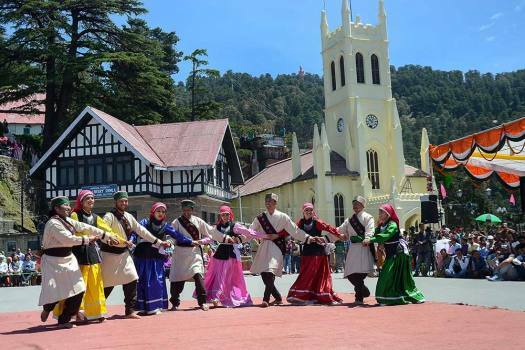 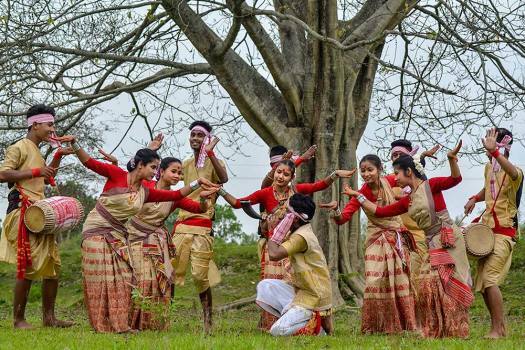 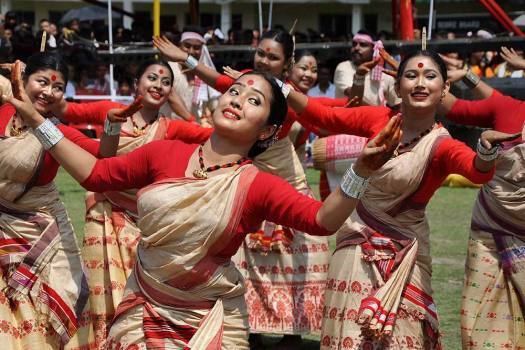 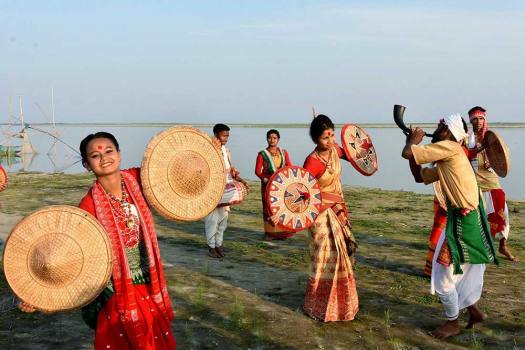 Artists perform Bihu dance to celebrate Rongali Bihu festival, in Guwahati. 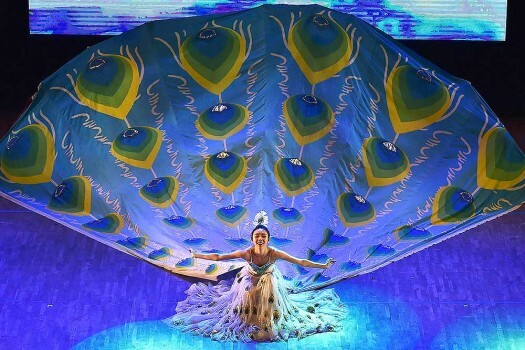 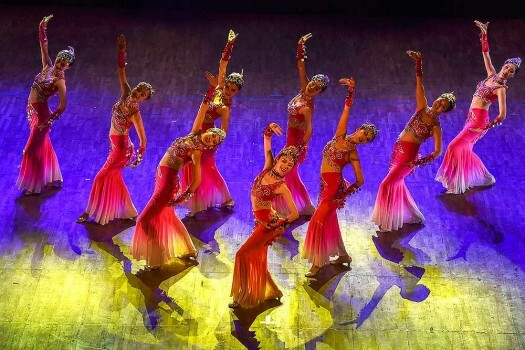 A traditional folk dance troupe from China performs during the 4th International Festival of Dance & Jazz, in Kolkata. 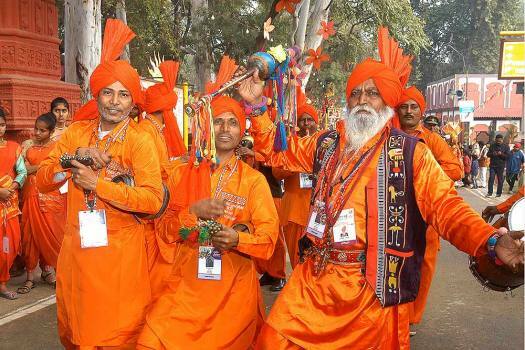 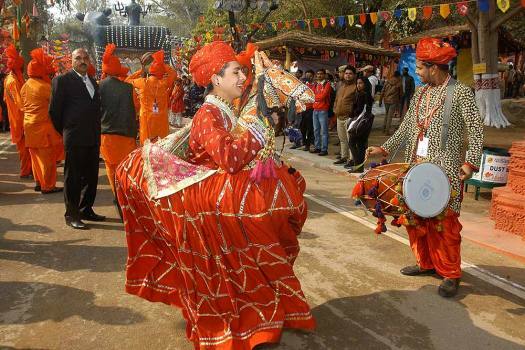 Cultural perfromances at the Surajkund International Arts and Crafts Mela 2019, in Faridabad. 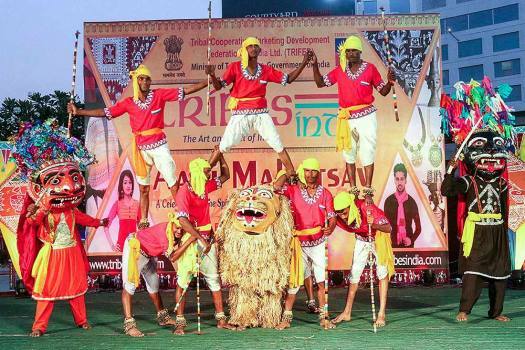 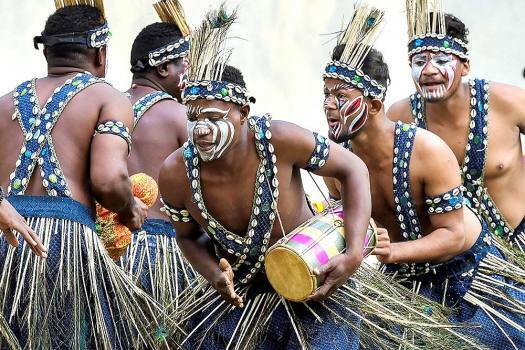 Tribal artists perform at the inaugural ceremony of the Aadi Mahotsav (Tribal festival)at Bhopal Haat, in Bhopal. 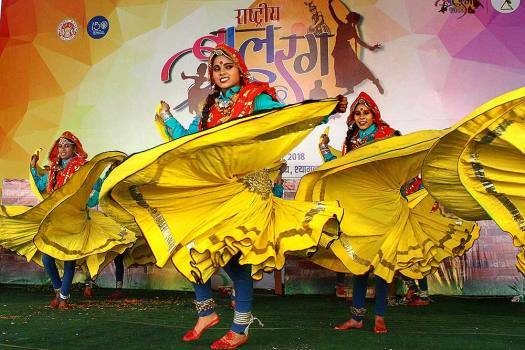 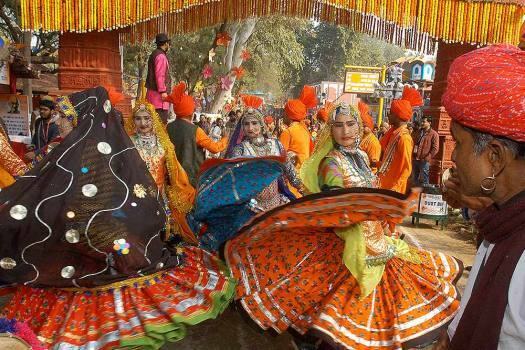 Students from Haryana perform during a three-day National Bal Rang Festival-2018, in Bhopal. 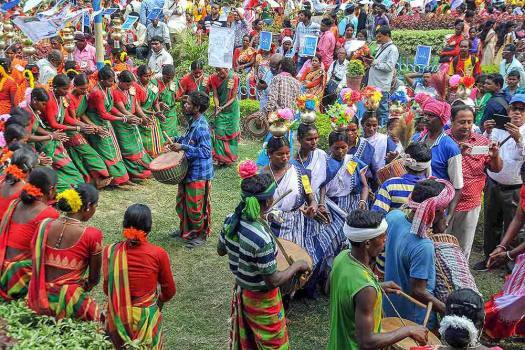 Folk tribal artists perform during the curtain raiser ceremony of 'Bangla Sangeet Mela 2018', in Kolkata. 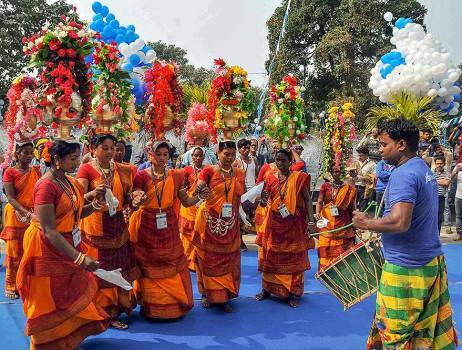 Folk artists perform during the curtain raiser ceremony of 'Bangla Sangeet Mela 2018', in Kolkata. 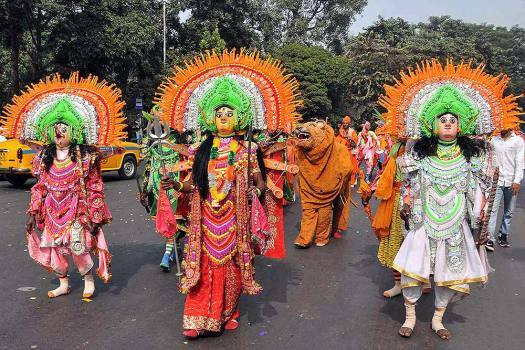 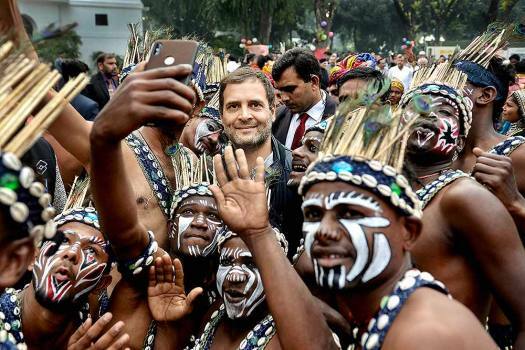 Tribal community members perform a folk dance during a rally demanding for their socio-economic rights from the Central and the State Governments, in Kolkata. 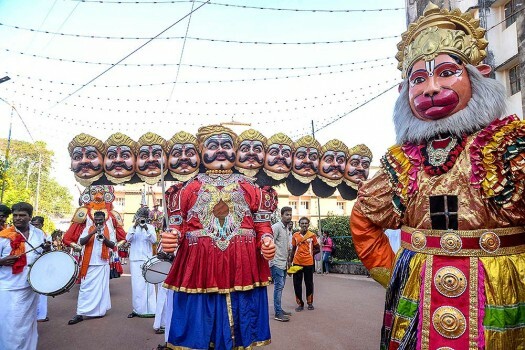 Artists perform during the inauguration ceremony of a three-day 'Alvas Nudisiri-2018', the 15th Kannada Nadu-Nudi-Culture conference, at Moodabidri in Dakshina district. 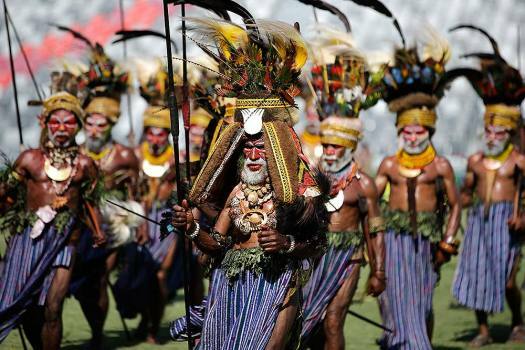 Dancers wearing traditional costumes perform during a cultural show as part of APEC 2018 activities at Port Moresby, Papua New Guinea.